In a past life, I spent the better part of three years eating, reporting and writing about all types of cuisine. Given that the average person’s love affair with food has skyrocketed in the past decade, it was an exciting gig that made me feel part of the culinary revolution in some small way. As a young child, the only celebrity chef I knew was Julia Child. These days, chefs are bona fide rock stars, the kitchen serving as their stage, their dishes playing like a greatest hits record. And during my time as a gourmand with a voice, I got to know some of these cooks, so accomplished, their surname alone holds weight. Ripert. Flay. Garces. Vetri. I’ve shared meals and many conversations with all of them. And it was during those memorable moments that I learned more about food than I could have ever imagined. Now, I don’t claim to be an expert by any stretch of the means. In fact, I think the wonderful thing about food is you can always learn something new. A different technique, a unique ingredient—the possibilities to create are vast and intriguing. 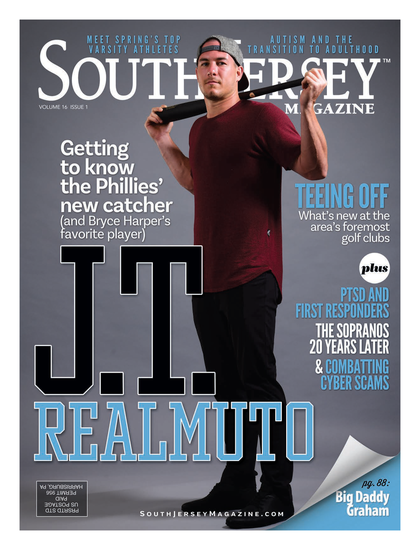 My ongoing passion for food is the main reason why I am so pleased to bring you this current edition of South Jersey Magazine, our 2012 Golden Forks issue. Each year, we set out to find the greatest eateries in the area to bestow our honor, recognizing culinary achievement and sustained excellence. Our hardworking staff, very willingly, tackled hundreds of meals in the past 12 months in preparation. We gained some perspective (and a little weight) into the ever-blossoming local dining scene, which led us to choosing The 50 Best Dishes in South Jersey. You can try, but we think you’ll have a hard time poking holes in our selections. These plates are remarkable in approach, execution and, most importantly, taste. Read on to see how many of these dishes you’ve tasted and find out which ones you’ll be ordering next time out. We also talked with several of the winning chefs to find out where they like to chow down outside of their own kitchen; some of their answers may surprise you.